A mooted plan to crunch together China’s biggest state-owned companies looks bad for efficiency. But when genuine competition isn’t on offer, a demanding shareholder and superior regulators might be the next best thing. PetroChina and Sinopec shares jumped on April 27 after a state newspaper reported the 112 largest state-owned enterprises may be consolidated into 40. Though both companies professed ignorance, the prospect of a merger between the two energy giants, whose two main listed subsidiaries are worth combined $569 billion at current market prices, drowned out PetroChina’s disappointing first-quarter earnings. It looks like a step backwards. Starting in the 1990s, China disciplined stodgy monopolies by exposing them to often-savage competition. Telecom, oil and banking grew partly because they had to fight amongst themselves. China Mobile remains the classic example of how stitching together local fiefdoms and exposing them to the market can create value. But it might be time China toppled the cult of competition. In sectors like cement and solar power, rivalry without real markets has proved damaging. Companies compete on price knowing they won’t be allowed to fail. Slashing jobs would increase efficiency but is politically unpalatable, because China’s labour market is too inefficient to repurpose redundant workers. In any case, the most productive competition is now global rather than domestic. Trainmakers CSR Corp and China CNR compete with sophisticated companies like Bombardier and Siemens. Their ongoing merger could help them pool research and regain pricing power, and perform better overseas. A shareholder that can crack the whip is what’s really needed. SASAC, the agency that runs the biggest SOEs, hasn’t been tough enough. State-owned sector returns on assets slid by around a third from 2007 to 2013. SASAC’s last boss, a former oil executive, was taken away amid the wide-ranging corruption probe that also just felled Sinopec’s vice-chairman. But it’s a big job. Exxon and Mobil, the U.S. energy giants, had around 120,000 employees when they merged in 1999. PetroChina and Sinopec have ten times as many. Keeping such a giant in check would mean heavy centralised supervision – the opposite of what most reform proponents envisage. A policy of “fewer and bigger” is fraught with trouble. But until China has real markets for failure and labour, it might be an improvement. A Sinopec logo is seen on top of a logo of Easy Joy store at a gas station in Beijing, September 16, 2011. Shares in PetroChina and China Petroleum & Chemical Corp (Sinopec) jumped on April 27 after a state newspaper said China might cut the number of central government-owned companies by more than two-thirds. 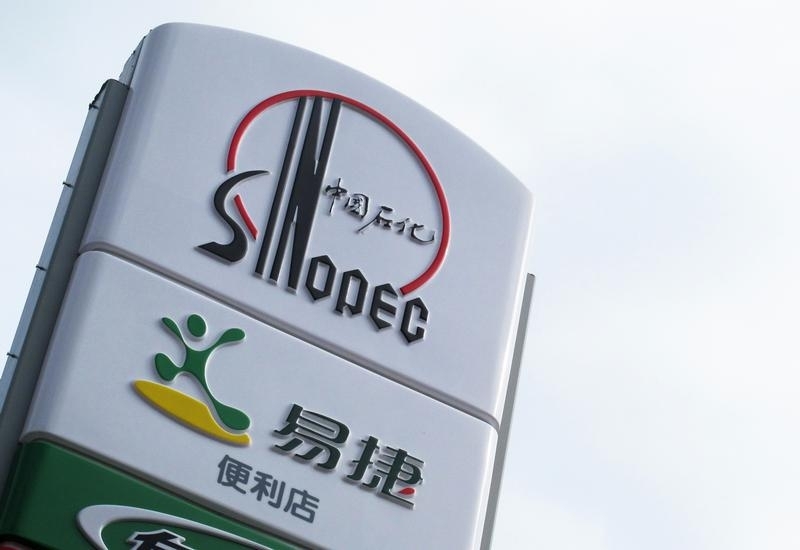 Sinopec’s Shanghai-listed shares traded as high as 9.27 yuan on April 28, 19 percent higher than their closing level on April 24, the last business day before the report in Economic Information Daily emerged. PetroChina’s Shanghai-listed shares traded as high as 15.36 yuan, a 15 percent increase on the April 24 close. China’s government centrally manages 112 companies under the State-owned Assets Supervision and Administration Commission, or SASAC. Local governments own and manage more than 10,000 additional state-owned companies. Under the new plan, commercial sectors would be consolidated first, following the model of the ongoing merger between train-makers China CNR and CSR Corp, which was approved by the Chinese securities regulator on April 27. PetroChina and Sinopec both issued stock exchange filings late on April 27 saying they had no information on a potential merger. SASAC said it had not been consulted about the story. PetroChina also reported first-quarter earnings of 6.2 billion yuan ($989 million), compared with an average forecast according to a Reuters survey of 8 billion yuan.